MarkWahlberg.com :: View topic - Lucky,lucky,lucky!! Posted: Tue Jan 01, 2002 1:57 pm Post subject: Lucky,lucky,lucky!! 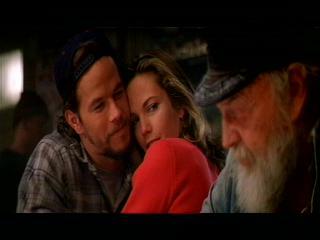 Diane Lane(The women who played Christina) is soooooooooooooo lucky!! !..I wish I was her in that pic!!!!!!!!! awww! that pic is so sweet! I know!!! Me too!! I always think that when I see the movie!! But, they kissed to much!! LoL! They were all over eachother like ANIMALS! Whenever I see The Perfect Storm I always yell, "Ok Mark...enough kissy...common Marky....stop! Please...stop kissing for heavens sake!!" lol! LOL Anastasia!! !..I do the same thing!! You thought they kissed a lot in the movie?....At least we weren't subjected to an intense love scene which was eventually left out. lol crazy4mw! that is a cute pic! ya thats what we do every nite! uhu suuuure ... in my dreams! WOW!! I can`t see the pic anymore! !..I tried going on Markwahbergfan.com(that`s where I found the pic) and the site woulden`t show up!..I think they shut down the site! ....It was one of my fav.! and that`s where I could find ALOT of Mark pics!! I love that website!!! TOO bad it is down right now! That is where I get most of my pics too!! i had some trouble getting on to it the other day but i tried it a couple times and it eventually came up. Oh!..I thought it was shut down or something..I was really sad because that is my fav. site and where they have the most pics of Mark! YAY! !...I can finally go on the site!! p.s- that is a nice pic!! 1 of the best!